Extremely knowledgeable guide but not much fun to be with. No opportunity for food or drink on 9-3 tour. Went to wrong hotel so he was late. TOUR GUIDE RESPONSE: i am very sorry for the wrong start - and even more so that my efforts to amend for my error were not sufficent... still all the best for 2019 to you ! TOUR GUIDE RESPONSE: thanks very much - i am glad to have been your host in vienna - and i feel flattered beyond means by your comment ! - just sorry that the day was over so quick ! Chris gave us a wonderful, insightful tour. We loved hearing the history of Vienna and the Hapsburgs as we toured the castle. A highlight was the impromptu stop at the University. Thank Chris for a lovely day. Chris is an intelligent, gracious host for his city. He obviously loves Vienna and wants to share his excitement for his city with his guests. We enjoyed our tour very much and came away with a true appreciation for this lovely city and a much better understanding of its history. TOUR GUIDE RESPONSE: thanks for all the compliments - and for both days ! have a great cruise ! We had a fantastic tour! Chris' knowledge of Vienna history was amazing. Highly recommend. Chris is an exceptional tour guide. His knowledge of Vienna and Austria was outstanding. He was very friendly and took us to great places to visit. The restaurant we had lunch at was excellent breath taking views and we loved the winery we visited in the afternoon. TOUR GUIDE RESPONSE: thanks i am glad you liked my tour ! We had a great day walking & driving around Vienna. Christian is quite interesting and knowledgeable on all things historical. He walked us around the center of town and showed us all the highlights, plus some hidden gems, then drove us to lesser known but very interesting areas of town. We really enjoyed our day with him. We had a really lovely day, Christian is very knowledgeable and interesting. The country side is beautiful and the wine is amazing. TOUR GUIDE RESPONSE: again- its been great having had you ! Chris has a passion for his city and knows its history well. He is professional and personable and speaks English fluently. The tour is highly recommended. TOUR GUIDE RESPONSE: thanks hope you had fun ! What a fun day cycling all over Vienna with Chris. We expect he knows more that most history books about a city he is so obviously passionate about. If you are a deep history person you could not pick a better guide in this city. I doubt you would find a question he could not elaborate on in great detail. He did an excellent job of expediting us past long lines and kept us engaged all day long. We highly recommend his service. TOUR GUIDE RESPONSE: thank you very much - it was just great to have met you ! We are very fussy about tour guides knowing their stuff. No worries with Chris - widespread detailed knowledge of a multitude of topics. Pleasant, sense of humor, on time, flexible. TOUR GUIDE RESPONSE: thanks very much - it was a great day with you ! Very knowledgeable and gave us a fabulous tour of the country side.. Great conversationalist and very accommodating person. We would use him again! Fantastic tour, very informative Christian has a great knowledge of the history of Vienna. His love I#of the city and history is evident. Highly recommend this tour. CHRIS was very knowledgeable, helpful and accomdating. We learned a lot and enjoyed the tour very much. Chris is an excellent guide. He made sure we saw not only the highlights, but also places that are not on the typical guide list. Thank you! TOUR GUIDE RESPONSE: thank you very much- it was a great pleasure! We arrived Vienna from USA with plans to visit Budapest on our own. So, so glad we opted to instead make the trip with Chris. His knowledge of (and respect for) the city, the history, the culture, was invaluable. Going it alone was possible, but Chris made it stress-free and so much more enriching and enjoyable. He has great knowledge & makes for great company. TOUR GUIDE RESPONSE: thanks for having been with me and thanks even more for the flattering compliments ! Enjoyable tour of Vienna by pleasant and knowledgeable guide. Christian's English and understanding of Austrian history are top notch. He was excellent in meeting our needs for a private, customized tour for one couple who were already familiar with Vienna traveling with a second couple who had never been there -- just the right balance for everyone. Chris is extremely knowledgeable of all the places he took us, and of many more. We had a lot of questions other than the ones from the sites we were visiting, and he always had the right answer for them. Great knowledge of city driving with all the shortcuts we needed to use to make the most of our time. TOUR GUIDE RESPONSE: thanks a lot - fue de verdad un gran placer con vds ! Christian is by far the best guide we gave ever had. He is both knowledgeable and personable -- quite a combination. TOUR GUIDE RESPONSE: what a compliment- thank you very much ! Chris is an outstanding guide! He knows his stuff, and his English skills are excellent. He made Vienna come alive for us - from past to present - and we thoroughly enjoyed our time with him. Since you can't do better than Chris, you'd better book him today. TOUR GUIDE RESPONSE: thanks and thanks - it was s pleasure and an exciting afternoon for me ! you made it easy to be straightforward and it was fun to be your host ! Chris was a terrific guide. We had only one day in Vienna and he made sure we saw the highlights but also places that are not on the guide list yet gave us such a sense of the city. It was very special. He was knowledgeable and made the history interesting. We really enjoyed our time with him and he left us wanting to come back. I'm just sorry he got a parking ticket! TOUR GUIDE RESPONSE: thanks very much - it was also for me a vety special day ! Christian was an exceptional guide. He took pride in providing to us an informative day that was tailored to our interests. He speaks excellent English. We took a one day tour of the Wachau Valley as our own private wine tour and excursion during a Viking River Cruise on the Danube River. Christian knows a lot of history about the area. He really went the extra mile to give us a great wine tour. Most excellent time! Very personable and knowledgeable. TOUR GUIDE RESPONSE: thanks very very much !!!!! Christian accommodated all our wishes, was very informative, and answered every question. Having had an excursion tour as part of a river cruise, Christian tailored a tour that didn't duplicate except where we asked. Had a nice lunch in an out-of-the-way place in the hills. TOUR GUIDE RESPONSE: thanks very very much ! Chris is a fantastic tour guide. Highly recommend him. Very knowledgeable and met all of our needs. TOUR GUIDE RESPONSE: Thanks to all of you its been a provilge to be with you ! Christian was great He took us around Vienna got us into the Spanish horses show and gave us a taste of the local flavor Out time was truly enjoyed Thank you!!! Chris customized our tour to our interests; he was very knowledgeable of the history of Vienna. He had very interesting tidbits. He was very pleasant and accommodating. Anyone who books a tour with him will not be disappointed. TOUR GUIDE RESPONSE: thank you very very much - it was a great pleasure and honour to have been able to be YOUR guide ! Christian picked us up from our hotel in Vienna, took us to see the most beautiful countryside of Austria . We stopped at all hotspot that we like to see. We are a group of 6 and had different places we would like to see and Christian fulfilled our wishes. When he dropped us off at our hotel in Salzburg, it's beyond his obligate hours yet without complain. He is friendly, open , a native that knew his homeland/history well. He is wonderful and a very good tour guide. I highly recommend him . TOUR GUIDE RESPONSE: thanks to all of you - it was a most beautiful day for me as well ! Me and my family spend wonderful 5 days exploring Viena, Saltzburg, Budapest, Bratislava and other nearby small towns with Chris. He was very knowledgeable, professional and flexible to our likes and interests. We have enjoyed his tours very much and found out a lot of interesting facts. TOUR GUIDE RESPONSE: thanks very - it was a great plesure and fun to have had you as my guests !!!! Chris's knowledge of Vienna, past and present is very impressive and his stories add color to the standard guidebook information. In talking with Chris we learned lot about the Viennese people and their view on life. Christian was very friendly and has a thorough knowledge of Austria's history. It was an enjoyable tour and I learnt a great deal about Austria's industrialisation and the Hapsburg dynasty. The places we visited were beautiful and it was lovely to learn more about them thanks to Christian. TOUR GUIDE RESPONSE: thanks kate - i hope you had a great time and found some snow afterwards ! Absolutely fabulous. Extremely knowledgeable about the very early to the more modern history of the area - from Slovenia, Slovakia and of course Vienna. I hope to utilize his talents against someday. They don't get better than this and his English is perfect which can be hard to find. TOUR GUIDE RESPONSE: thanks very much for that too !!! it was a great pleasure to have been your guide and host ! 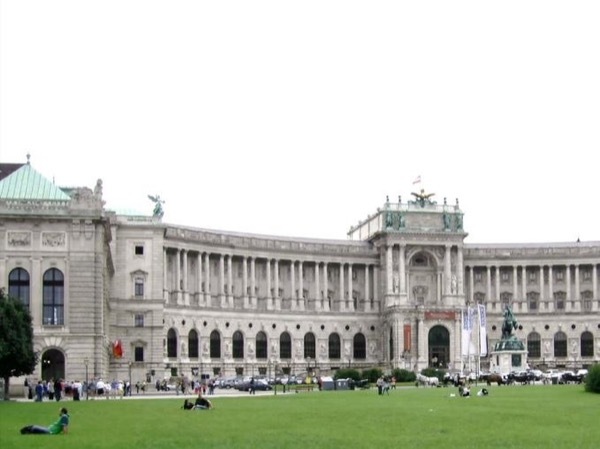 We asked Chris to give us a general introduction to Vienna for several hours at the start of our three-week stay. We wanted to get a feel for the city and familiarize ourselves with distances and transportation, etc. We wanted something beyond the tourist maps and explanations. Chris obliged and was friendly and helpful. We enjoyed his company. Christian was an excellent guide. He speaks very good english and can speak intelligently on almost any topic. He was very entertaining and in 3 hours of walking, we cover an amazing amount of ground. He helped us chose the best night for the opera and offered some good choices on where to eat. I would highly recommend Christian as a guide. TOUR GUIDE RESPONSE: tahnks a Million - it was great to have had you ! We would highly recommend tours by locals, and specifically Christian. He arrived at our hotel 15 minutes early. It is so nice having someone who knows (1) where everything is and (2) the history of what we wanted to see. My husband is a history junkie and Chris was able to answer and expound on any question he asked. it definitely takes the anxiety out of trying to get around. TOUR GUIDE RESPONSE: well that is flattering - thank you very very much ! To be honest my rating is closer to a 3 but some of my negative issues were probably at least partially my fault. I could have communicated better. Chris gave a great tour of the Schoenbrunn Palace. He arranged for a wheelchair for the 94 year old with us and he was good at getting through the crowd. We also wanted to see the "Vienna Woods" I admit I didn't research potential stops in this area but all he did was take us on a long drive to that region and back without even a photo opportunity. Our day with Chris (a very warm one) was pleasant, informative, and relaxing - thanks to his efforts and an air conditioned car!! We got a good overview and understanding of the countryside outside Vienna, had a delicious lunch at a beautiful restaurant overlooking the Danube, and visited a winery with ancient cellars, good wine, and very nice people. I even got to pick grapes!! A winner. TOUR GUIDE RESPONSE: thanks very very much - it was a wonderful day with you ! TOUR GUIDE RESPONSE: muchissimas gracias !" THIS WAS AN AMAZING TOUR!!! Inclusive and covered a large scope of the area between Vienna and Salzburg. Christian drove us through the resort town of Semmering, areas such a Stainach and we experienced many in-tact environments throughout our journey. We drove through Linz, the hart of the lake district and salt mines to areas such as Bad Aussee and Bad Ischl. We spent time exploring Hallstatt, a highlight of this tour. We saw Salzburg on foot and enjoyed a lovely dinner at Landzeit overlooking the lake. TOUR GUIDE RESPONSE: Thanks for this review ! i loved showing you my favorite places in my country and i am most happy you enjoyed it !!! Chris was wonderfully supportive as I made plans to visit Vienna and explained that I was traveling with my 14 year old grandson. He planned a tour with our specific needs in mind and drove to each sight sharing interesting and educational information. He took me to the Spanish Riding School to get tickets for the summer show the following day which I didn't know about. I highly recommend Chris' guiding services ! Chris was a terrific guide for the first visit to Vienna of our multi-generation family. His knowledge of the history/culture of Vienna and familiarity with the city's many sights was excellent. He asked the right questions to determine our interests and showed us a variety of very meaningful locations. Great tips for our remaining days in the city including excellent eating spots. He was personable and professional and we would highly recommend him as a tour guide. Outstanding English fluency too! TOUR GUIDE RESPONSE: it was the greatest pleasure to have been your guide ! thank you very much! !! Today we had a tour of all the highlights of Vienna, mostly walking. Chris is very knowledgeable of Austria history and shares this in an enjoyable way. I will recommend him with 5 stars to anyone who will be traveling in Vienna. We booked Chris for a 2nd day. On this day we toured the Belvedere. His knowledge of Viennese art is incredible. We also enjoyed a ride to the wine country where we had lunch with local Austrian food. Thank you Chris for making our trip to Vienna very memorable. This was our 2nd day with Chris. If we were in Vienna longer, we would continue touring with Chris for days 3,4 and more. TOUR GUIDE RESPONSE: thank you very much it is a great compliment! An excellent, intelligent, well informed and well communicated tour; responding very well to our interests. Very professional. TOUR GUIDE RESPONSE: thanks very very much !!! Christian was very knoledgeable and committed to providing a good service. We would have prefered a slighly shorter trip and more flexibility on the sites (could have easily skipped some of the sites on the ring). Really enjoyed the ride through Vienna, great way to see the city. Christian is a friendly tour guide with fluent English who has a vast knowledge of Viennese history and politics. He was able to change the tour to suit our requirements; initially given the severely cold weather and also so that we could visit Schoebrunn Palace. He also was helpful in pointing out some sights for us to visit on our own and was happy to answer our general questions about Austria and life in Austria. We very much enjoyed our tour with Christian and would highly recommend him. TOUR GUIDE RESPONSE: thanks a billion for that flattering comment - it makes my year !!! TOUR GUIDE RESPONSE: thanks - was a great morning with you ! TOUR GUIDE RESPONSE: thanks Lori - was just a great day i had with you - and i am grateful you enjoyed it too ! I cannot rate our tour with Christian high enough. We waited in great anticipation for our day with him and he did not disappoint. I have been reading Hapsburg and WWI history for over 50 years. Christian held up his end and a good deal more. I got all of the answers that I wanted. Though we both speak German, we never felt the need to do so as Christian's English is first rate. In addition, he has a most comfortable car and is an excellent driver. TOUR GUIDE RESPONSE: thank you very much - it is always a challenge and a reward ! Absolutely the most informative historical tour of our trip! TOUR GUIDE RESPONSE: wow thanks a lot !!! Another wonderful tour day two with Chris. He really showed us Vienna and We loved it!!!!! TOUR GUIDE RESPONSE: that day was Special - also for me and a challenge ! and i am happy you liked it ! Chris was a wonderful guide and very informative! We loved looking at all the sights and well as the different architectural styles. TOUR GUIDE RESPONSE: thanks very much - it was indeed a pleasure to have had you ! Christian was fabulous He was articulate as well as knowledgeable and a pleasure to be with. We would highly recommend him for any tour of Vienna. Christian contributed immeasurably to our enjoyment of Vienna. His knowledge of the history and culture of Vienna and the Hapsburg Empire is extraordinary. Equally important is his ability to adjust his tour and delivery to the background and interests of his clients. He seamlessly adjusted our, itinerary, for example, to include the morning exercise routine of the Spanish Riding School into our tour. We thoroughly enjoyed the day in Vienna. It stands as a highlight in our trip. TOUR GUIDE RESPONSE: thank you very much - it was really a pleasure to have had you ! We had a wonderful tour of Vienna with Christian. He is a terrific host and provides a wealth of information about the history, architecture, and culture of the city. Highly recommended! Chris was super in this rather unusual tour. He was well prepared to show me the sites that I wanted to see for these 1809 battles, called ahead to seek entrance to the museums, and, more importantly, gave me the Austrian background and details that were very interesting to hear. I was very, very pleased. Thanks! Christian provided us with a wonderful, customized three day tour. The breadth of his knowledge combined with a love and appreciation of Viennese culture enabled him to tailor our tour to specific areas of interest including Jugenstil art and architecture. We felt unhurried and he was able to adjust the schedule "on the fly". Nothing felt scripted. Christian is intelligent and professional. He enhanced our visit. We highly recommend him. TOUR GUIDE RESPONSE: tajnks again - as before i feel really flattered ! Christian provided us with a wonderful, customized three day tour. The breadth of his knowledge combined with a love and appreciation of Viennese culture enabled him to tailor our tour to specific areas of interest including Jugenstil art and architecture. We felt unhurried and he was able to adjust the schedule "on the fly". Nothing felt scripted. Christian is intelligent and professional. We had a wonderful visit and Christian enhanced our experience. We strongly recommend him! TOUR GUIDE RESPONSE: again i feel flattered - and it is really great to have such a reward from you ! Christian provided us with a wonderful, customized three day tour. The breadth of his knowledge combined with a love and appreciation of Viennese culture enabled him to tailor our tour to specific areas of interest including Jugenstil art and architecture. We felt unhurried and he was able to adjust the schedule "on the fly". Nothing felt scripted. Christian is intelligent and professional. And he is a natty dresser! He helped to make our visit so memorable and we highly recommend him. This was a personalized tour. I wanted to learn more about the Empire and the Hapsburgs. We visited the summer and winter palace. It was an notable and informative day. TOUR GUIDE RESPONSE: this is a huge.THANKS A MILLION for all the days i had the honor to spend with you ! We had a grand day with Christian. We biked from Melk to Krems thru the wine country and along the Danube. Christain is very knowledgeable and made the experience informative as well as enjoyable. Again, so knowledgeable with a great gift of knowledge & humor. Would HIGHLY RECOMMEND to anyone who needs a guide in Vienna. TOUR GUIDE RESPONSE: as said before : THANK YOU ! Chris did an outstanding this making this city and it's story alive in a way that we will not forget. He made us want to revisit and get to know it and it's people even more. WONDERFUL ! TOUR GUIDE RESPONSE: thank you very much - it has been a pleasure to show you vienna, and it is always delightful to have such company ! Christian was clearing interested in giving us a perfect day in the countryside. Melk Abbey was lovely, the restaurant we went to had excellent food, warm staff and a beautiful view. The expert at the winery was pure delight. A very long, fantastic day. TOUR GUIDE RESPONSE: thank your for this ! but you made it easy for me ! Chris was fantastic and so very interesting. He showed us what we wanted to see and as we adjusted our plans he was accommodating. He was patient with the traveler restrictions, my father in law who is 88, and our lack of experience. Dad enjoyed listening to Chris and easily could hear him which is a problem at times. Chris showed us a wonderful Vienna, views, back streets, crown jewels, etc. He made this trip one we will never forget and I will always recommend him to others. TOUR GUIDE RESPONSE: thank you vrry much for this comment... it was fun also for me ! All three in our party thoroughly enjoyed Chris' tour of Vienna. He listened carefully to what we already knew of the city and our tour previously in the week and then adapted our afternoon to provide a rich experience of the culture, history, politics as well as urban myths and legends in the Inner City. Chris also made several recommendations for us to enjoy our time before and after the tour by recommending local hot spots and where to find certain food and experiences. It was great! TOUR GUIDE RESPONSE: thank you very much - you made it easy for meas it is always fun to entertaina party like yours ! Christian was a tremendously knowledgeable, enthusiastic guide. Would heartily recommend him to everyone. Take care! Christian is a fabulous guide and host to beautiful and elegant Vienna. We enjoyed the history and art conversations we had with him while walking around the city. He is extremely knowledgeable, attentive and takes pride in sharing all the city has to offer. He also asked if we had any special wish or were curious about anything in particular at the beginning of our tour, which we thought was very thoughtful. His English is absolutely excellent. We highly recommend him as your personal guide. TOUR GUIDE RESPONSE: well thank you very much - you made it very easy to be hosting you ! TOUR GUIDE RESPONSE: muchissimas gracias - o como se dice en braisl - muito obregado ! Great cycle tour of Vienna. Christian did a wonderful job of guiding us through the city , it's history, it's architecture and giving us an insight into its people. Thank you very much Christian. TOUR GUIDE RESPONSE: trahnk you very much - it is always great to have guys like you ! TOUR GUIDE RESPONSE: thank you very very much for this comment - its truly an honour to have had you ! What a great way to finish up our trip to Vienna! Chris put together a wonderful itinerary that included historic sites, drives through small villages, great views of the Danube, a lunch location that was tops and visits to 2 very nice wineries. A very enjoyable day! Thanks. TOUR GUIDE RESPONSE: again - you made it easy for me ! tahnks ! Chris is a wealth of historic information and provided a wonderful tour of Vienna. His English is excellent. We enjoyed our day very much. TOUR GUIDE RESPONSE: tahnks - it was really a pleasure to have had you as guests ! Christian was extremely knowledgeable about the history of the area and also gifted in bringing it to life. We were only in Vienna on an overnight stay. He picked us up from our hotel at the airport and took us into the city. His English was pretty easy to understand and he didn't seem put off the few times I asked him to repeat himself. I just wish the weather had been a little warmer so we could have walked around a little more. Great tour! We spent 6 days with Christian for a tour of Austria. He was a delight to be with, extremely knowable and flexible. Christian let us know it was our tour and he was there to please us. I would highly recommend a tour with him. TOUR GUIDE RESPONSE: thanks for your comment and the stars !